For the spring of 1864, Grant planned to apply simultaneous pressure to as many points of the Confederacy as possible. Sherman advanced on Atlanta. Butler's Army of the James moved upriver to take Richmond while Meade's Army of the Potomac, accompanied by Grant, tried to destroy Lee. In southwest Virginia, Averell's cavalry was to destroy the saltworks at Saltville, join Crook, who was to destroy the railroad bridge over the New River, and together move on the vital rail center of Lynchburg. Along the way they were to meet up with a force approaching from the Shenandoah Valley under Franz Sigel, a political general chosen for his popularity among his fellow German imigrants. Crook defeated a Confederate force at Cloyds Mountain and joined Averell, who had decided against attacking the well defended salt works. Crook heard nothing concerning Sigel and withdrew to West Virginia. Sigel had advanced slowly up the Shenandoah Valley with his forces badly strung out, opposed only by Confederate cavalry under Imboden. Commanding the Confederate district of Southwest Virginia, former Vice President of the United States John C. Breckinridge made a bold decision. Leaving McCausland's brigade to deal with Crook and Averell, he moved Wharton's brigade from Dublin and Echols' brigade from Lewisburg north into the Shenandoah Valley. Here they were joined by 1,000 nearly useless home guards and around 250 cadets from the Virginia Military Institute. Upon learning that his cavalry had skirmished with the Yankees on May 14th, Breckinridge ordered his men north in a night march from Lacy's Springs in the early hours of May 15th. May 15th would be a rainy day. This is the view looking north from Shirley's Hill. 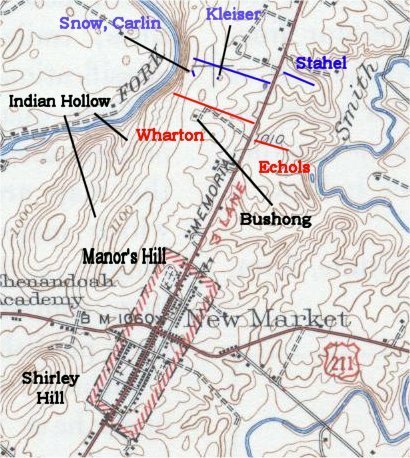 In the early daylight hours of May 15th, Confederate artillery and infantry deployed here facing Union troops across the valley on Manor Hill. Union cavalry screened the area on the left of the picture known as Indian Hollow. The northern end of this hollow would figure later on in the climax of the battle. Union infantry were deployed starting on Manor Hill and extended to the Smith River in the Valley on the right of the picture. Breckinridge deployed his infantry extending toward the river in such a way as to exaggerate his numbers. He also sent Imboden's cavalry on a failed mission further to the right across the river then north to capture a vital Union bridge on the Union line of retreat. On the right of the picture is the town of New Market. Here stood the Union line, right behind the Days Inn, which along with a private museum, have only recently spoiled the site. This single picture frame best shows the view of the Union troops without the modern intrusions. Only a fraction of the Union force held the line, as most of the army had not yet arrived. Breckinridge waited on the defensive, then after 11am sent his infantry on the attack. The Union line held briefly, then fell back. A few hundred yards to the rear they made a brief stand before joining reinforcements further back on Bushong Hill. The coming battle on Bushong Hill, like the fighting before, was fought through thunderstorms. Breckinridge continued the advance past Manor Hill. 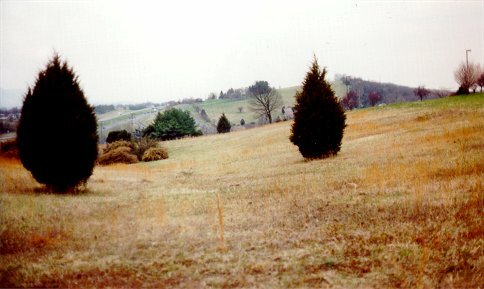 This is the view from the Confederate left which continued its advance along the ridgeline which extends north from Manor Hill. From this position the Confederate infantry were unable to see their comrades on the right flank advancing along the Valley Pike, now Route 11, but they could see Union artillery and infantry on the ridgetop in the distance. The Union flank was anchored on a cliff overlooking the Shenandoah River. The advance took the Confederates through the Bushong Farm. 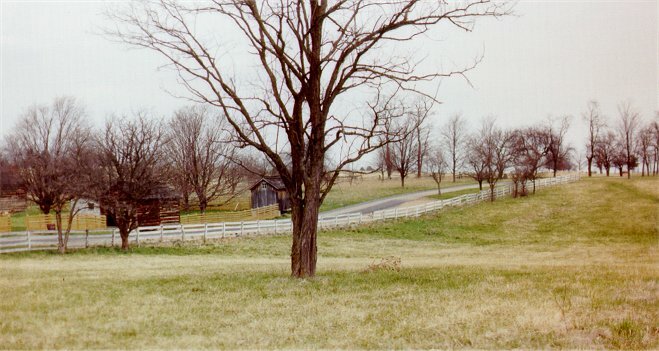 Toward the Confederate center, troops moved past the house and through the orchard. These troops took heavy casualties. Here on the left, the men had to negotiate two fence-lines before advancing on the ridge. On the far left of the picture is the end of Indian Hollow. The Confederates who had advanced through the hollow had been largely sheltered from Union fire, but they were now forced to the right as they approached the cliff and essentially formed a second line of infantry. This is the view from the cliff protecting the Union right flank. The foliage blocks the view of the Shenandoah River below. The Confederates crossed the first fence and advanced on the second fenceline. The attack became confused, and the line briefly fell back. Units from Indian Hollow came up, and the Confederate line stabilized along the second fenceline. Meanwhile to the right of the Bushong Farm, Jackson's Battery under Lt. Blain advanced with the Confederate infantry and deployed near here to the right of the Bushong Farm. The depression in the ground visible here continues off the picture to the right through what is now I-81. The 62nd Va advanced another 200 yards then fell back to the cover of this gully after they took heavy losses. At the end of the fence-line is a monument to Woodson's Missouri company, which lost 40 of its 62 men that day. Confederates of the 30th and part of the 51st Va. reached the fence-line at the edge of the orchard, just 350 yards from the Union line, but taking fire from the batteries of Carlin, Snow, and Kleiser, they soon fell back. To plug the gap, Breckinridge ordered the VMI cadets to reinforce the line in the orchard - in the low area on the left of the picture. The low area to the right of the fence was muddy because of the rain and would soon be known as the Field of Lost Shoes. This is the view from the orchard, with members of the Roanoke Civil War Round Table at the fence where the VMI cadets were in line. This is the view from Carlin's and Snow's batteries of 3 inch rifles, where you can see most of the western side of the battlefield. From here, Union rifled artillery stretched down nearly to von Kleiser's five smoothbore Napoleons. Union infantry was to the rear of the guns, protected behind the ridgeline. Sigel had seen the Confederates falter, then endure artillery fire behind the fence-line. He believed the Confederates were vulnerable, so he ordered his whole line to attack. Here on the Union right, the 34th Mass. moved forward to attack. The 1st WVa. on their left lagged behind, leaving the 34th Mass., as well as the 54th Pa. on the Union left, vulnerable. The 34th Mass got halfway to the Confederate line and stalled. The Union artillery had been taking small arms fire and Sigel ordered them to withdraw. Breckinridge now sent his army forward to attack. Regular infantry and cadets alike advanced, pushing the Union infantry back and capturing three abandoned guns. The cadets advanced through the muddy "Field of Lost Shoes" visible as the low dark green area. 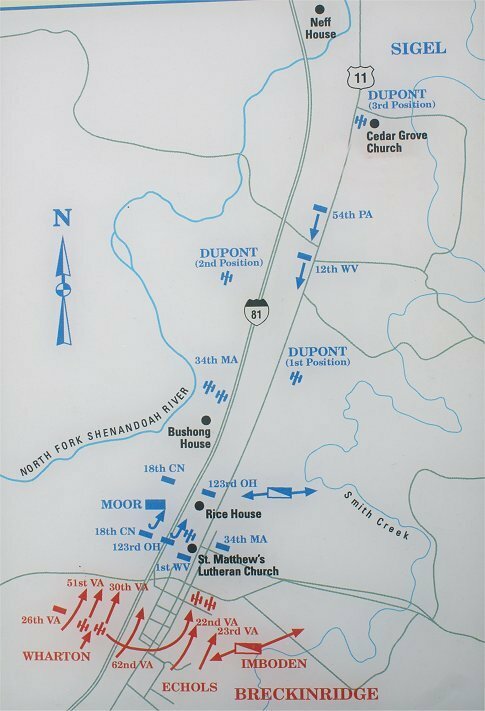 The Union troops began to retreat under the cover of du Pont's artillery further to the rear. Upon seeing the 1st WVa. advance on their right, the 54th Pa. began to charge across this rocky field. 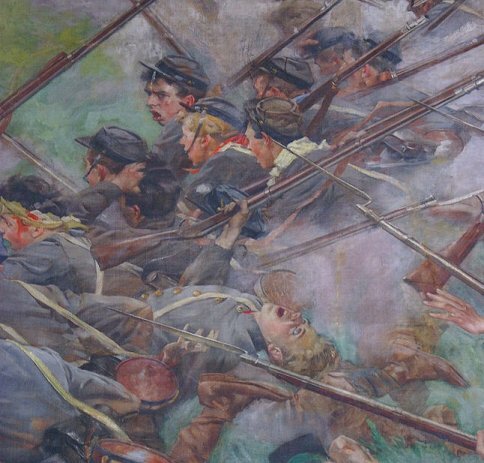 The West Virginians retreated soon after they met enemy fire, leaving their comrades in the 54th Pa. to advance by themselves, much like the 34th Mass. Confederates from the 62nd Va. were in the far gully, an extension of that shown in a previous picture. When the surprised Pennsylvanians reached the ridgetop overlooking the gully, the Confederates opened a devastating fire. The Federals took heavy casualties and retreated. Confederates advanced in pursuit, overlapping both flanks of the Yankee regiment, which by day's end had lost 45% of its men. The whole Union army was now in retreat covered by its artillery. 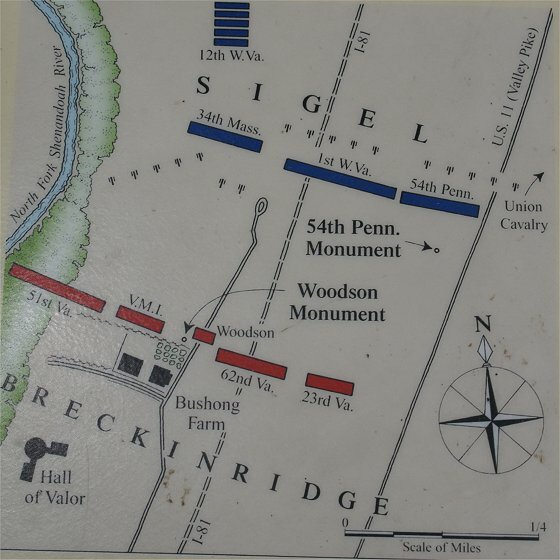 Sigel's army rallied on Rude's Hill but continued the retreat. If only Imboden had reached the Union rear according to plan, the Confederate victory could have been complete. As it was, Sigel lost 841 of 6,280 engaged to Breckinridge's 531 of 4,876 engaged. 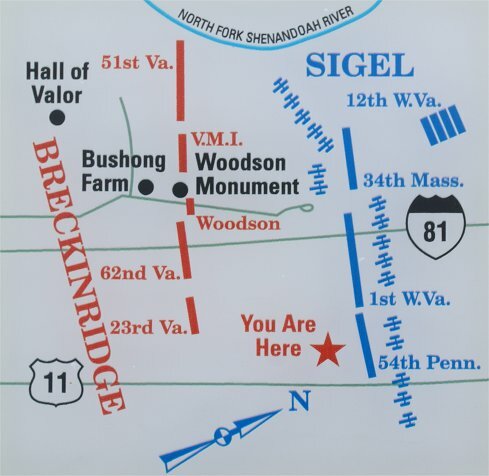 With Sigel repulsed, Lee ordered Breckinridge to either advance northward through the Shenandoah Valley or march east to join the Army of Northern Virginia. Breckinridge decided to join Lee, and his men were valuable reinforcements for the North Anna and Cold Harbor campaigns, which could have brought destruction to Meade's Army of the Potomac. In part, this reinforcement of Lee makes the Battle of New Market one of the most important of the smaller battles of the war. But Union troops in the Valley, now under David Hunter, soon recovered and raided the Valley. The Confederates had left the Valley lightly defended, and in response, Lee dispatched Breckinridge's division and Early's Second Corps to the Valley in early June. After dealing with Hunter, Early moved north and threatened Washington after a clash at Monocacy, forcing Grant to send troops from his army at Petersburg. Although initially successful, Early met resistance at the defenses of Washington and withdrew to the Valley. 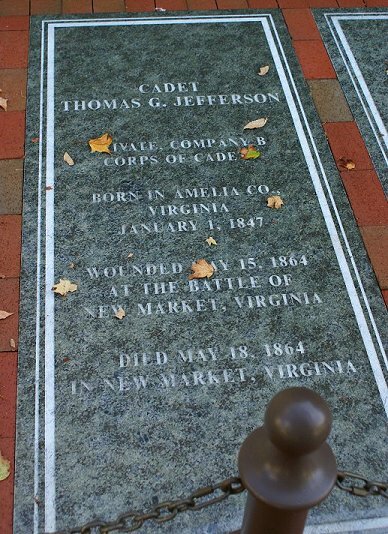 In September and October, he met defeat at the hands of Phil Sheridan at Third Winchester, Fishers Hill, and Cedar Creek, which ended Confederate hopes in the Valley, and in Virginia. 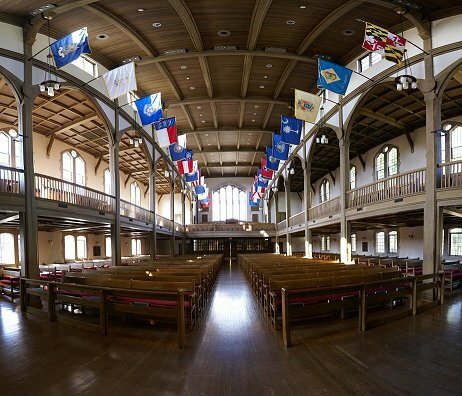 The Virginia Military Institute in Lexington still remembers the sacrifices of its cadets. 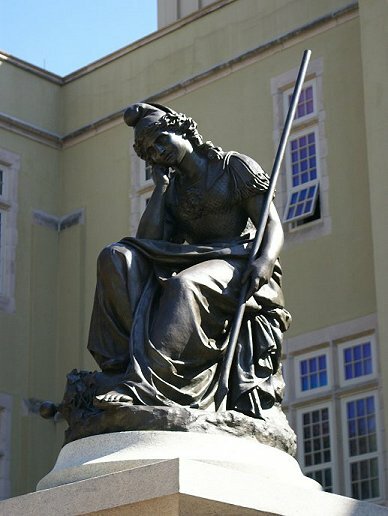 In addition to a chapel with artwork depicting the charge of the cadets, VMI also has the graves of some of the casualties and the statue "Virginia Mourning Her Dead", made by Moses Ezekiel, a cadet who had fought in the battle. The Hall of Valor on the battlefield commemorates the battle and includes an excellent film.